South Africa finally chalked up a win on their European tour, but were made to work before securing a 32-10 triumph over Italy. 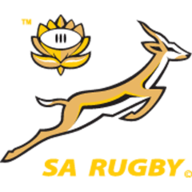 The Springboks will be happy enough to have ended a miserable recent run that saw them defeated by Leicester, France and Saracens, but were still less than convincing for spells at the Stadio Friuli in Udine on Saturday. Bryan Habana, Jacque Fourie, Fourie du Preez and Wynand Oliver all crossed for the tourists while Morne Steyn kicked two penalties and two conversions with Ruan Pienaar adding another late conversion. But a comedy of errors from the South Africans, most of them in the scrum, means they will have plenty to work on ahead of next week's finale against Ireland. 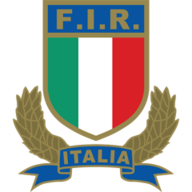 Italy lost 20-6 to New Zealand last weekend despite a battling performance and that spirit was again in evidence as they ran the Springboks close in the first half before falling away in the second to succumb to their 13th consecutive defeat under coach Nick Mallett. South Africa forged ahead inside six minutes after Simone Favaro had earned a yellow card for a late hit on Du Preez. Steyn contrived to hit the post with the resulting penalty from straight in front, but the visitors regained possession and full-back Zane Kirchner produced a clever step inside before releasing to Habana who dived over. Kirchner and Habana were again at the heart of the action seven minutes later as the Springboks extended their advantage, Kirchner, Adi Jacobs and Habana all combining before the latter offloaded to Fourie, who had the simplest of tasks to touch down. Craig Gower struggled with the boot for Italy and missed with a penalty and an attempted drop-goal as the hosts struggled to peg back the 12-0 deficit. However, he made amends for his earlier misses as he played a big role in Italy's sole try after 31 minutes, his neat run and quick offload allowing Gonzalo Garcia to score under the posts. Gower added the extras to make it 12-7 at half-time. South Africa added to that lead when Steyn landed a penalty six minutes after the restart and on 52 minutes they all but killed the game with a decisive third try as Habana fed du Preez who needed no second invitation to dart over, capping off a fine move. Gower pulled a penalty back before Steyn sent over one of his own to leave the score at 25-10 and the visitors completed the win in style late on as Du Preez broke through the Italian line following a line-out before feeding replacement Olivier to score a try which fellow substitute Pienaar converted.